As with any surgical procedure, there are associated risks. In particular, the most common risks in oral surgery include swelling, discomfort, trismus, bleeding and alveolar osteitis (dry socket). Platelet rich fibrin (PRF) has been recently studied for its ability to enhance healing and recovery from surgery. Platelets are known to have high contents of growth factors, including platelet derived growth factor, vascular endothelial growth factor and transforming growth factor B1/B2, which help with cellular proliferation and angiogenesis. PRF permits the body to take advantage of the normal healing pathways at a greatly accelerated rate. Until recently, its use has been confined to a hospital setting only, mainly because of its cost and more complex harvesting (more blood was required or the need to access a blood bank). New technology has changed this and has made it readily available for patients in an office setting. 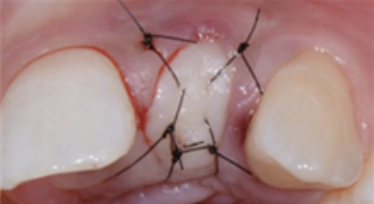 We are proud to offer PRF at Torrance Oral Surgery and Dental Implant Center. 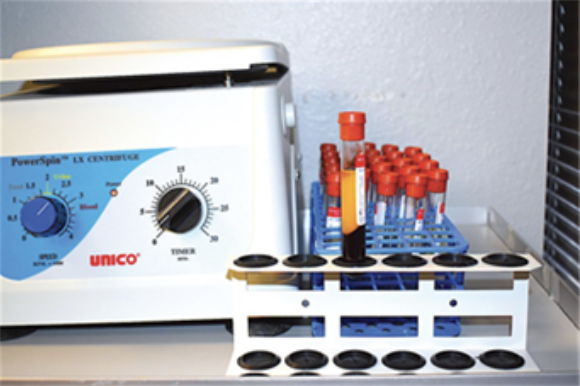 Platelet rich fibrin is a process where blood is collected in a tube and then placed in a centrifuge for 10 minutes. During this process, the platelets and leukocytes are collected with great efficiency and are activated, releasing the growth factors into the fibrin matrix. This fibrin matrix is then used as a wound dressing. Studies have shown it is able to accelerate wound healing, reduce inflammation and swelling, improve discomfort and help alveolar osteitis (dry socket). What can PRF be used for? Contact Torrance Oral Surgery and Dental Implant Center today to schedule an appointment for you or a member of your family.